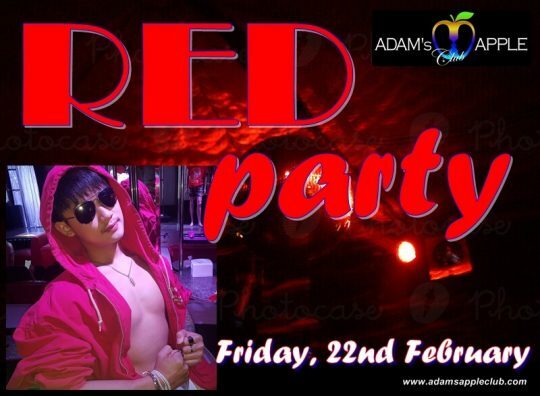 Have FUN with us on our RED Party @ Adam’s Apple Club Chiang Mai on Friday, 22nd February. 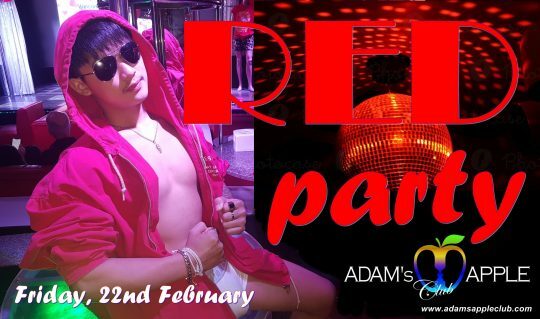 The best Party in Chiang Mai definitely at Adam’s Apple Club Chiang Mai, the No. 1 Host Bar. Welcome everyone he like fun and unforgettable moments in his Gay Life. Come and joy our special SHOW on the RED Party. 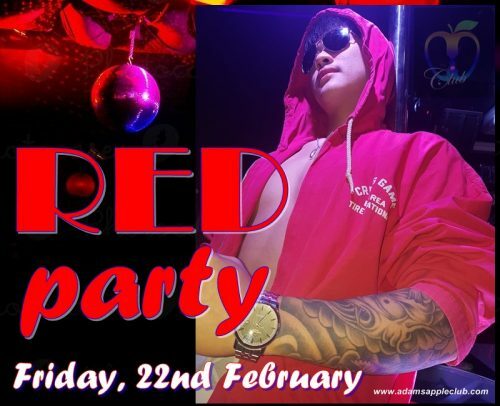 We are happy to welcome YOU to this February Highlights in our Host Bar on Friday, 22nd February @ Adam’s Apple Club Chiang Mai. Absolutely the best Party in February in Chiang Mai! Don’t miss our Mega Events in February.